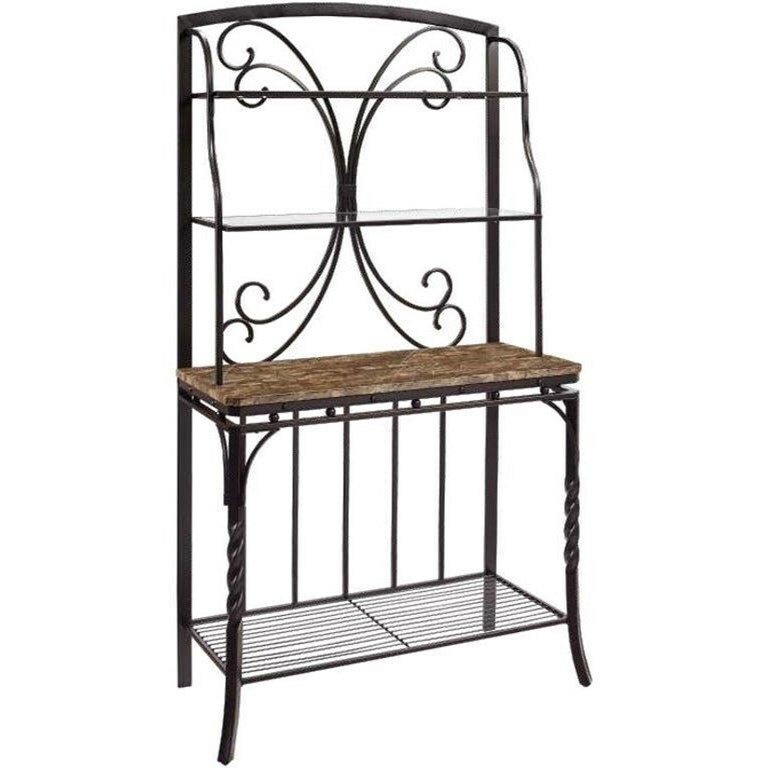 Bring a slice of Italy to your kitchen or dining nook with this classically styled baker's rack. It features a faux marble serving surface, glass shelves and metal frame with twisted metal legs in dark bronze finish. The Tuscan Metal and Faux Marble Baker's Rack at Miskelly Furniture in the Jackson, Pearl, Madison, Ridgeland, Flowood Mississippi area. Product availability may vary. Contact us for the most current availability on this product.